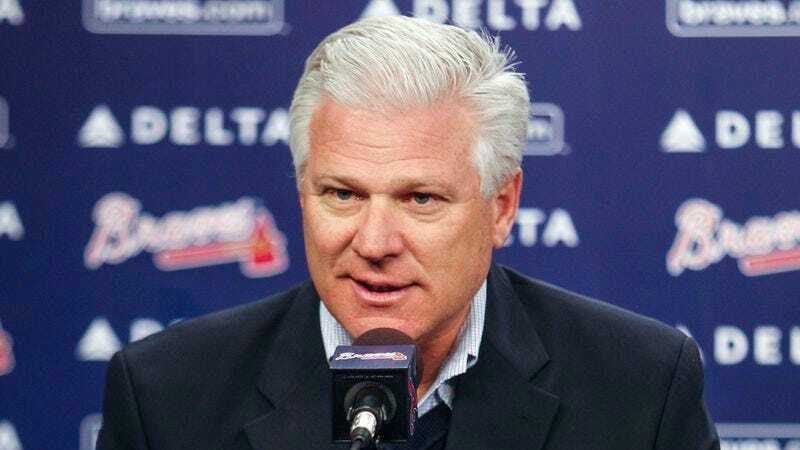 ATLANTA—Braves general manager Frank Wren announced Wednesday that the team’s new logo would feature a grim depiction of the numerous atrocities suffered by Native Americans on the Trail of Tears. “Since many felt that the screaming brave logo was offensive and insensitive, we decided that the Atlanta Braves’ emblem should encapsulate the brutal forced relocation of Native Americans,” said Wren, adding that the new symbol would feature a bleak illustration of starving members of the Cherokee nation succumbing to exposure and disease. “The young Cherokee girl dying from pneumonia at the center of the logo really captures the cruelty of forcibly removing Native Americans from their homelands to make room for white settlements. However, we feel that all 4,000 of the dead Native Americans in the design were rendered wonderfully.” In related news, the Cleveland Indians announced plans to honor the plight and discrimination of Native Americans by continuing to use the same logo.